In order for your products to reach the customers purchasing those you will need to think for the best Shipping method which will be both affordable and fast in terms of time required for the delivery of the product. WooCommerce provide you with the option to fully manage the shipping methods on your website and in the next few lines of this tutorial we will show you how this should be achieved. In order to reach the Shipping Option page you will need to login into the admin area of your Wordpress installation. 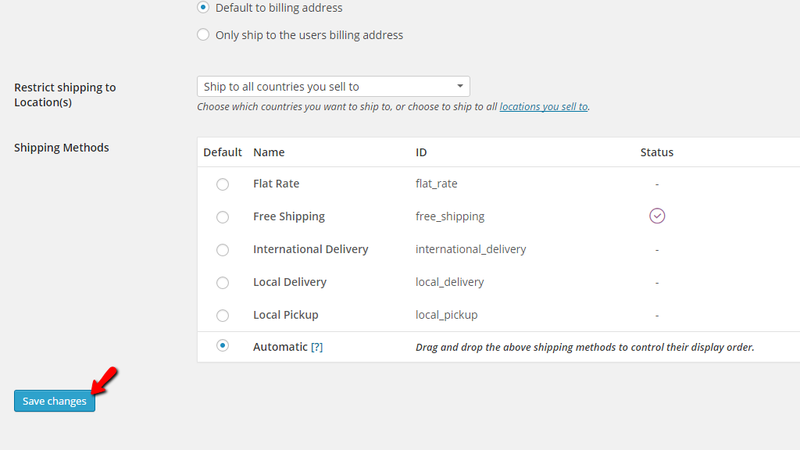 Then from the WooCommerce menu you should access the Settings link which will take you to the default page for the settings of your Store. 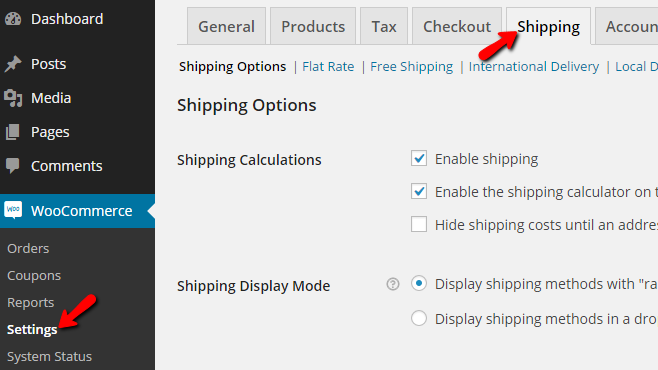 Then please click on the Shipping tab from the tabbed menu and you will see all the available shipping options you should configure. Once you are done configuring the Shipping option you should simply scroll down to the bottom of the page and use the Save Changes button in order for all the shipping options to be saved. Congratulations! 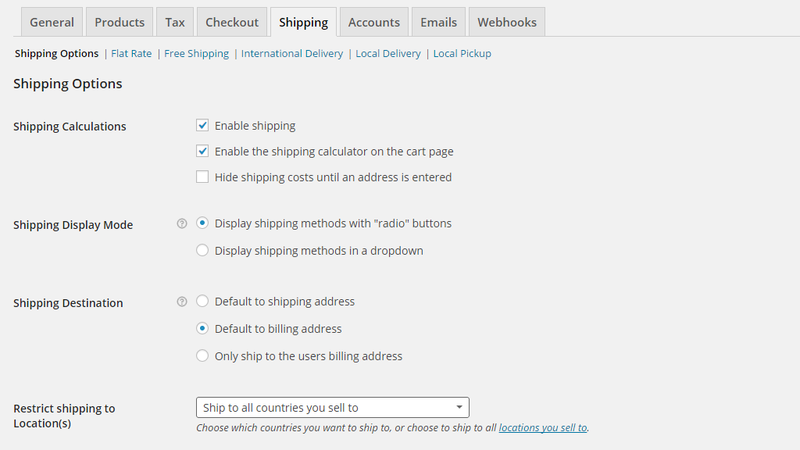 You now know how to fully setup the Shipping Options of your WooCommerce based Online Store!